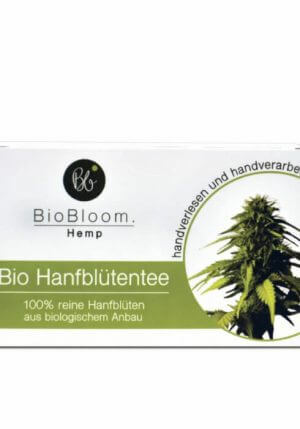 Buy Hempflower Tea paperbag 50 grams BioBloom? Naturally dried hemp flowers as tea. 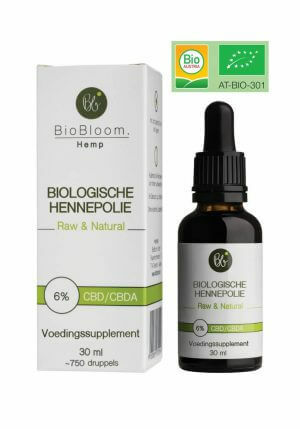 Since November 2017 we have started selling Raw CBD oil from the brand BioBloom including these hemp flower tea paperbag 50 grams BioBloom. These CBD products are known for the very high percentages of CBDa. 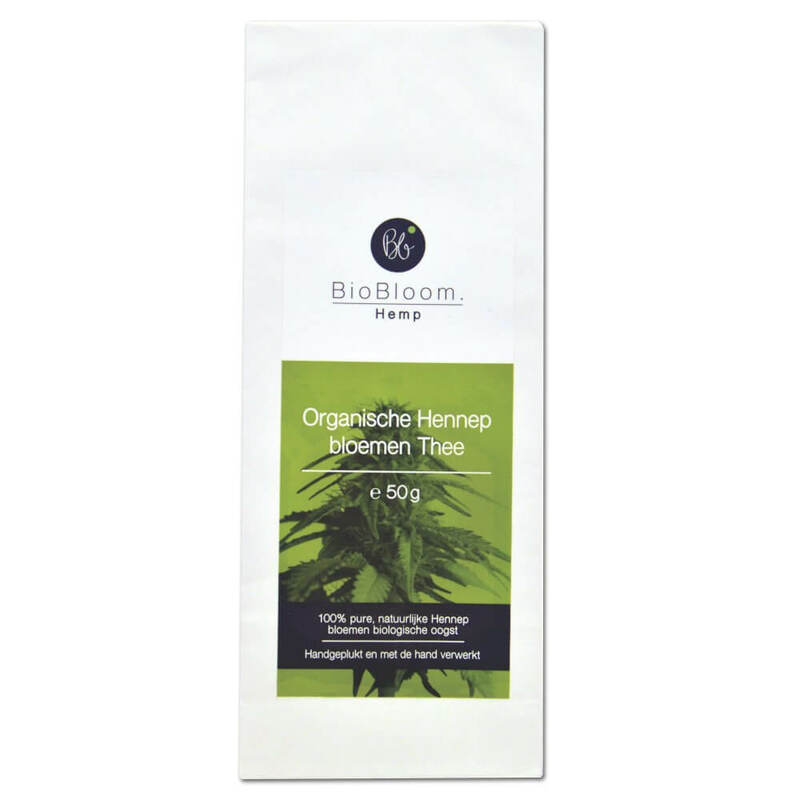 The tea from this BioBloom Hemp flower tea bags is picked by hand, without the use of machines. It is produced from the flowers. Therefore it is not comparable to Hemp Tea. The last mentioned fact consists of the leaves, seeds and remains of the hemp plant. The tea is delivered in a paper bag with 50 grams. Available in tea bags and a glass of 50 grams. BioBloom has been awarded the Bio-certificate of the European Union. This ensures that no herbicides, pesticides or genetically modified seeds are used in the cultivation and production of the hemp plants. 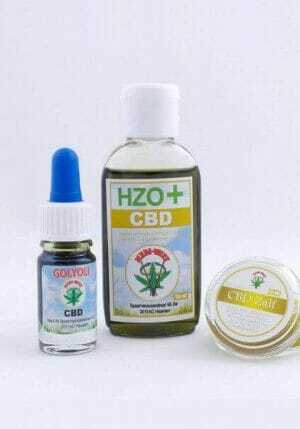 The plants that are used for this CBD oil are purely organic. They meet all requirements for this. In addition to the main CBDa ingredient, also known as cannabidiolic acid, hempflower Tea paperbag 50 grams BioBloom also contains traces of other cannabinoids. These include many flavonoids such as quercetin, orientine, luteolin, apigenin, kaempferol and vitexin.